“Women who can have it all can do so, because they have help,” said a friend recently. We both are relatively new moms, trying to figure out what it means to take on the new, at times daunting, responsibility (Yes, my son was born November last year!). Her words made me think. 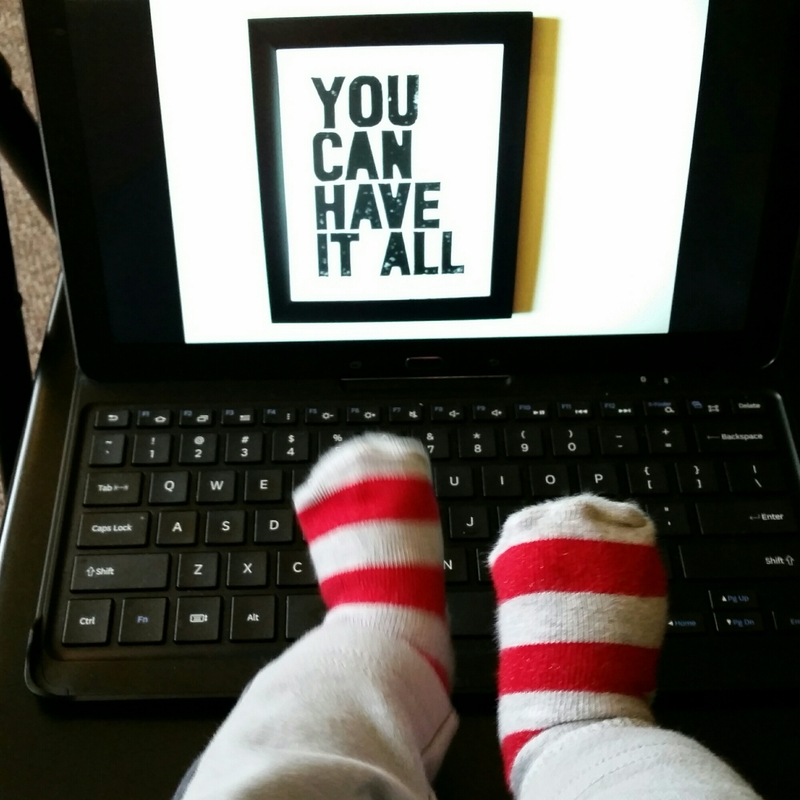 I’ve read articles by other women about the challenge of “having it all,” but now that I have a child, it has a whole new meaning. I’m no longer able to just pick up my stuff and go out, or stay up late to finish 500 pages of readings for next week. My priority is the baby – but can I succeed with my school (I’m a full-time PhD student), work, and household chores, without driving myself crazy? I think the answer is yes, though to say the least, it is not easy. Many of my friends call me “super mom” (and I take pride in it), which comes with lots of efforts and creativity. By all means, having it all to me at this point doesn’t mean I don’t have to make any compromises (like not going out with friends at night). But at the same time, I have been fortunate enough so I have not had the need to compromize most important areas in my life. And keeping a few tips below has helped me tremendously. Be creative: Time is something you create. I read while breastfeeding, work when the baby naps, and eat while he plays. Find the routine that works for you. Strive for excellence: I try not to use the excuse of being busy or having “too much on my plate” for doing a mediocre job. It is my choice to “have it all,” so it is my responsibility to live up to it. I finish all my readings and assignments on time, because I think I owe it to my professors and classmates to be a contributive member of class. I also try to give my 100% with my son when I’m playing with him. I can’t be perfect, but I can give my very best in everything. Ask for help – and be specific: Like my friend said, support is critical for having it all. We don’t have to do everything by ourselves. One of the things that has helped me the most is to have my husband’s support. Right before I went back to school this semester, I explained to him that I would need his help in the evenings. People can’t read my mind, so I have to ask if I need support. Now he kidnaps the baby from me as soon as he gets back from work and plays with him while I cook dinner and take care of tasks I couldn’t do during the day. He also gets up before me on weekends to make breakfast. Of course raising a child is both of our responsibility, but his extra help enables me to strive in my other responsibilities. Don’t forget to appreciate: I always remind myself I cannot take my husband, or whoever that helps me, for granted. I am very appreciative for our babysitter, who is excellent and takes great care of my son – and that we can afford to have her. I am grateful for my colleagues at work, for giving me the flexibility to work from home and providing me with much support. I am fortunate that my department provides me with a room to pump between my classes. Appreciating every little things also makes me happy – it’s interesting how it works! Have fun: My son wakes up every morning smiling and screaming with excitement. It made me realize I have to have the same attitude about life, too (despite my lack of sleep). I have to have fun with it, rather than seeing every day as a series of duties and obligation. I enjoy taking care of the baby – and it gets more fun every day, as he gets more interactive. We laugh together, smiles at each other, and it makes my heart full. Each day is precious. I’m able to enjoy each moment because I’m thankful for all that I have, rather than worrying about what I’m missing out or not doing right. And I’m learning to just enjoy being “me” – a person who is a student, lover of her job, wife and mom, and each identify is very dear to me.